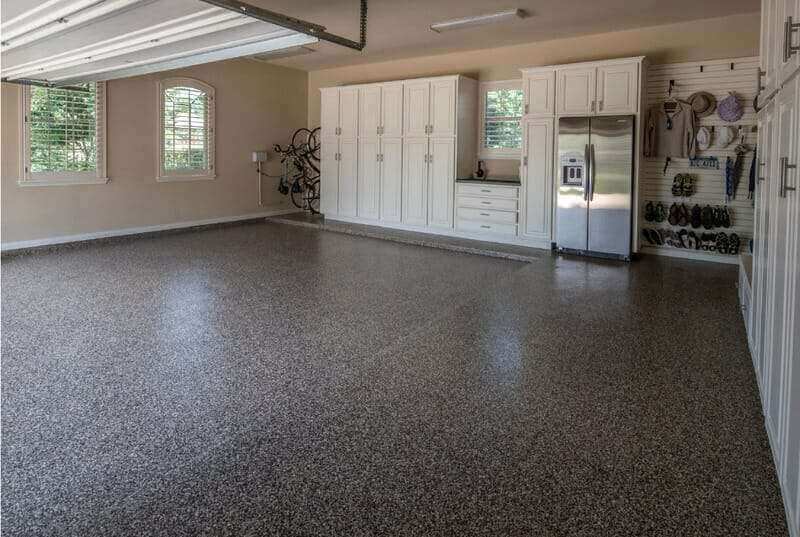 Perhaps you don’t want a coating or anything else on your garage floor and you just want to protect it from stains. 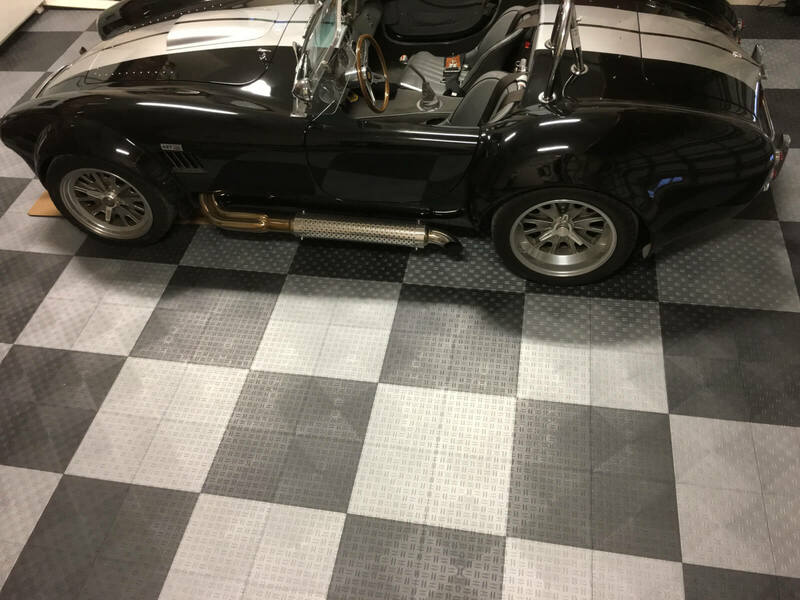 Perhaps you have a new slab and you are going to use a containment mat or garage floor tile, but you still want to protect the entire floor from stains, while strengthening the floor from within. 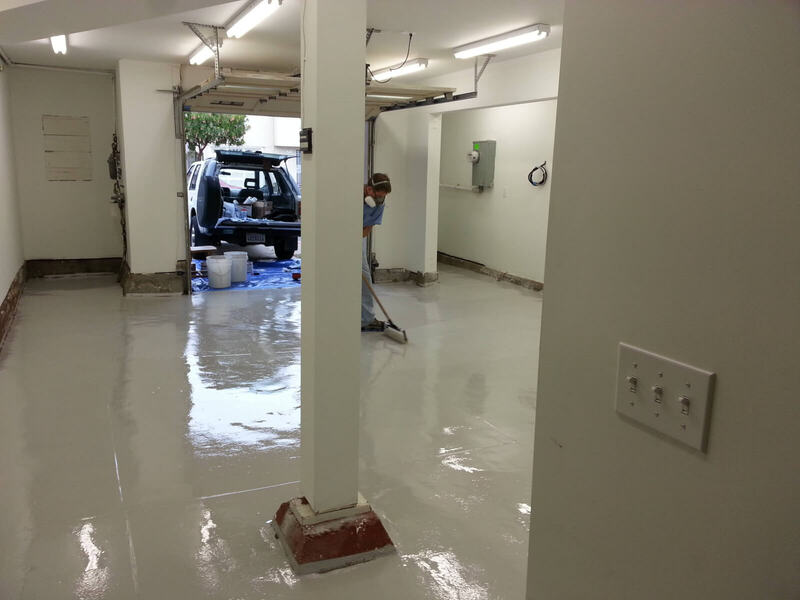 A densifier can also be used in conjunction with an acid stain for a grind and polish application. 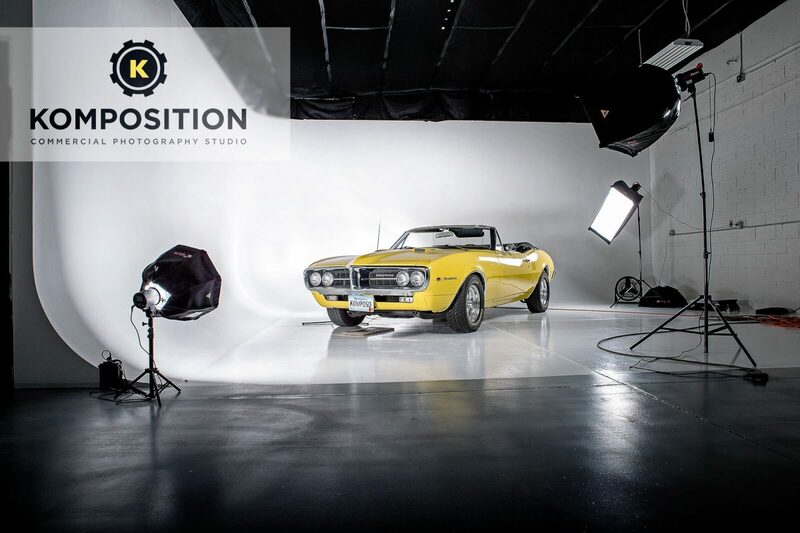 A densifier can also be used as a stand alone method to protect the concrete floor. TL37 garage floor densifier can be used prior to Rust Bullet to fortify your concrete. 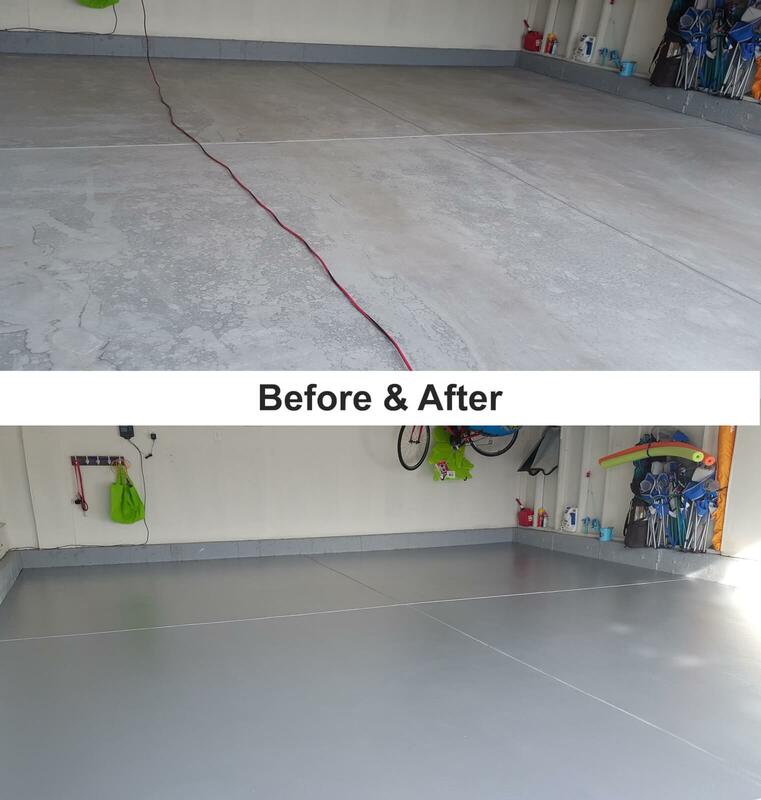 While it will not ‘fix’ a poor concrete job, a garage floor densifier will help to reduce dusting and harden softer concrete. 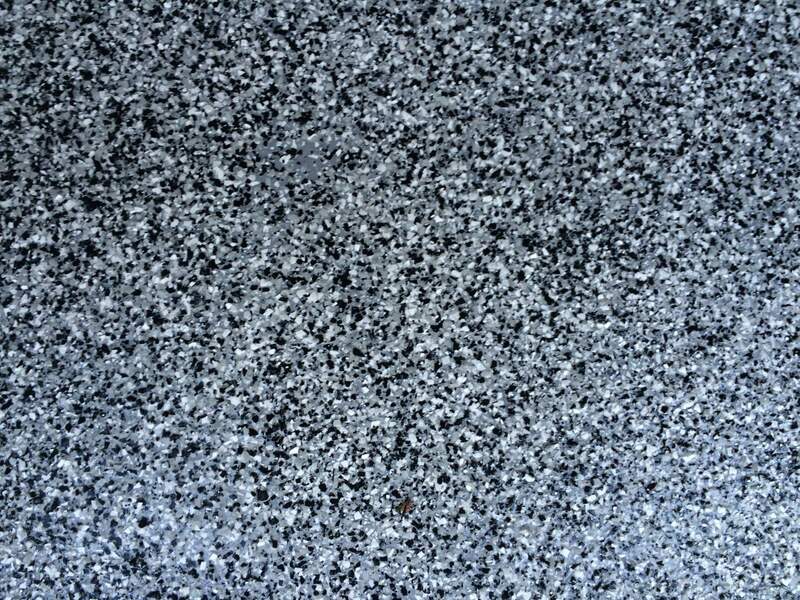 If you are going to do a grind and polish or acid stain followed by grind and polish, in most cases you will want a professional involved. 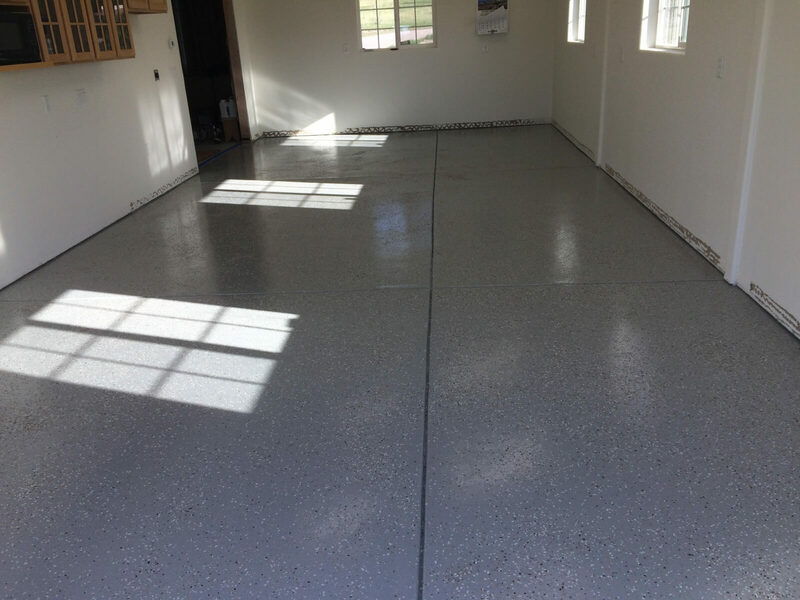 There are however many applications where densifier can be applied with little or no prep over a garage floor, a shop floor or even an industrial floor. 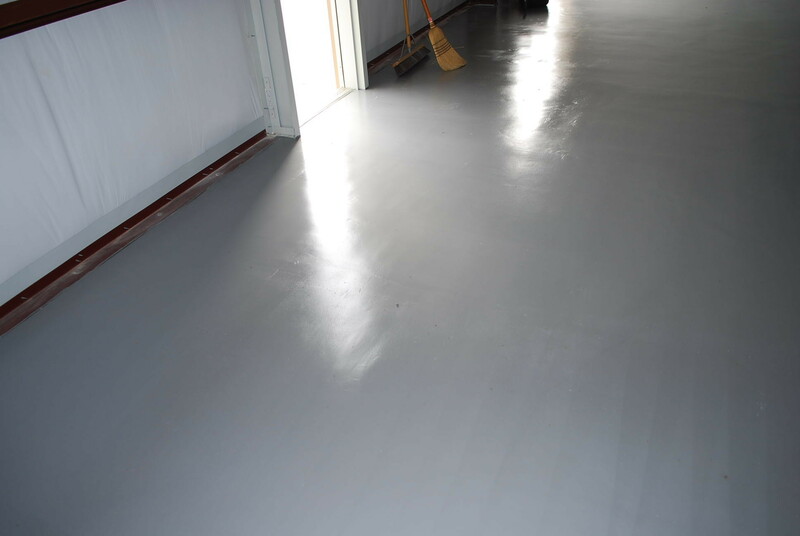 Remember this is a chemical reaction with little to no change in appearance of the floor itself. 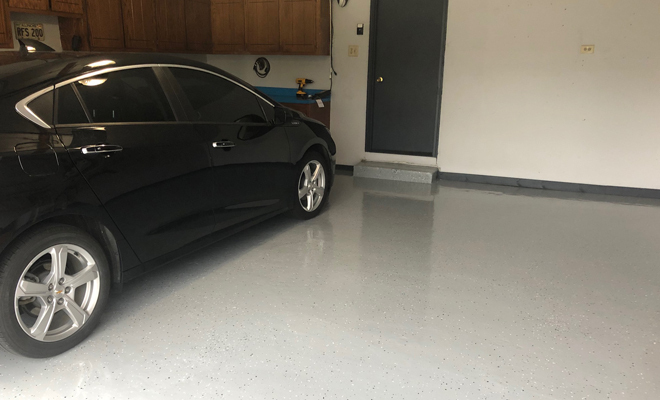 If you are looking for protection from the elements, especially when used in conjunction with modular garage flooring or other products that sit on your slab, using a product like TL39 to densify your floor and protect it from the elements is a great idea. 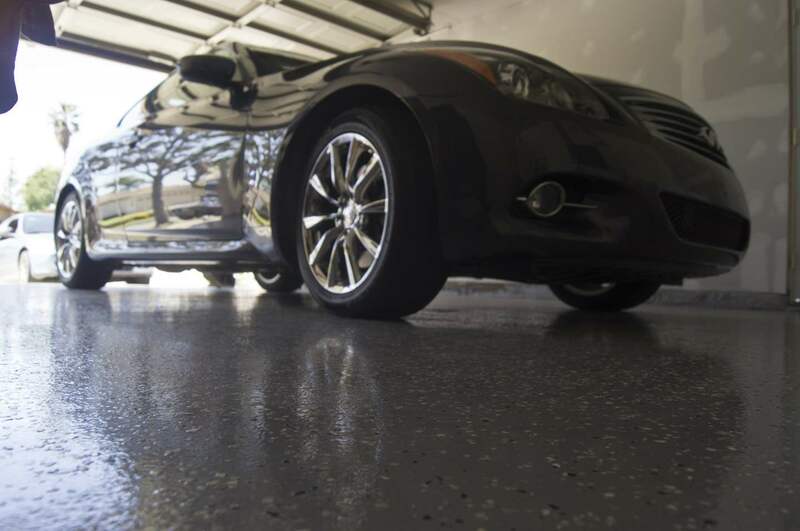 It will helpkeep moisture from penetrating your slab which helps to prevent the damage that is done by harsh winters and trapped moisture. 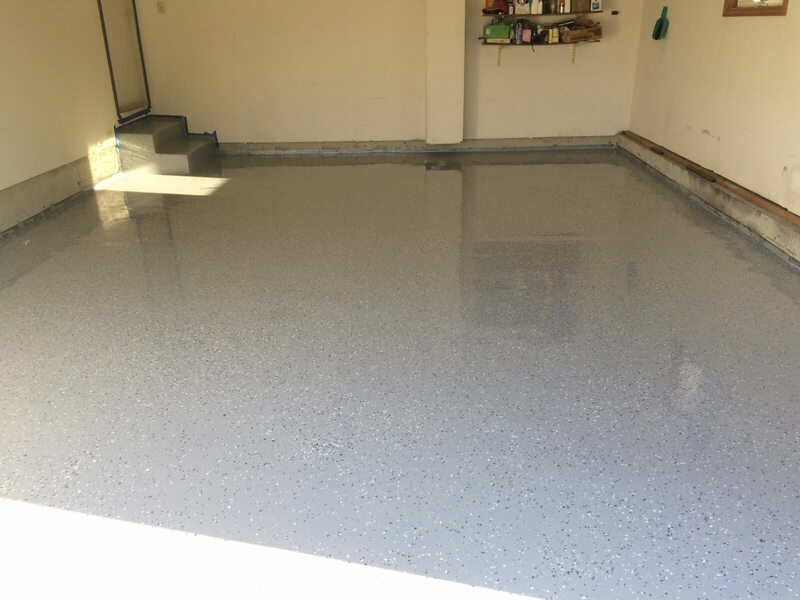 We have a lot of customers who want a rock hard garage floor that is easy to clean, but they have major concerns with epoxy and other garage floor coatings. 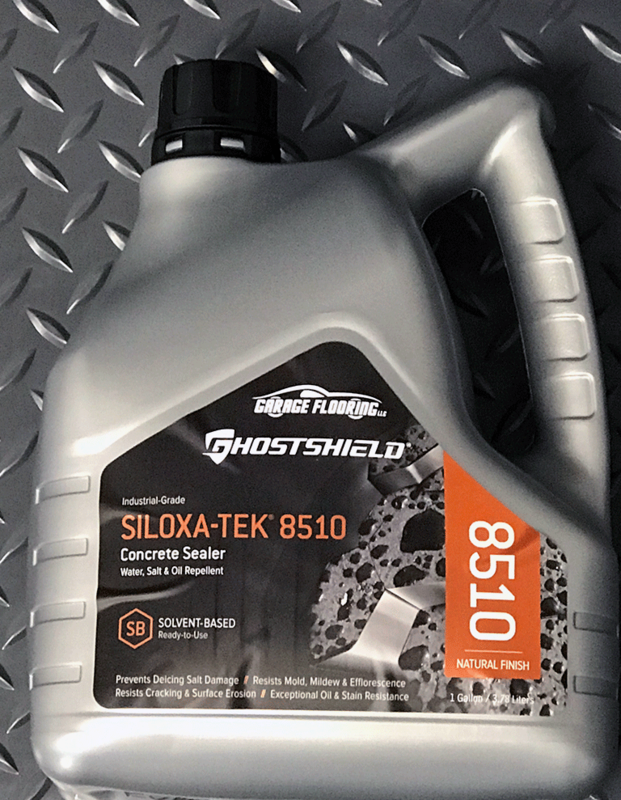 The basic issue is weld slag and other heavy duty work can damage coatings. 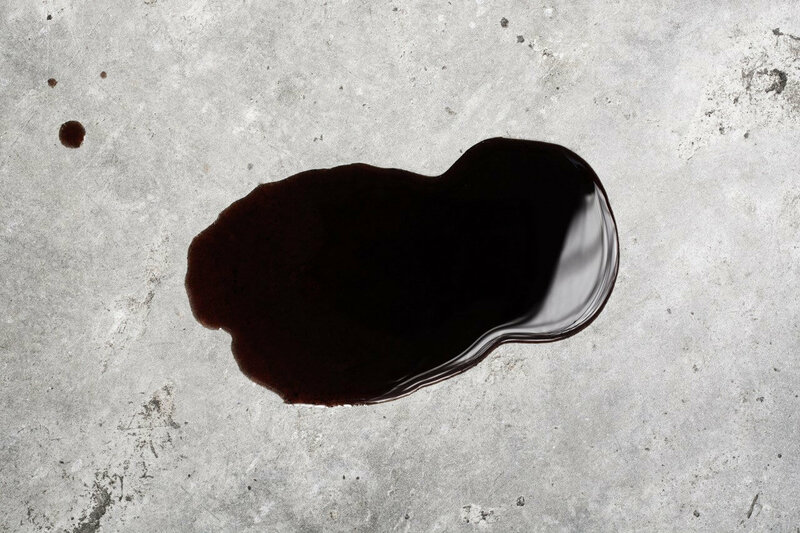 If nothing is done to the floor then every drop of oil and grime will penetrate the slab making stains that are difficult to remove — and make future coatings difficult. 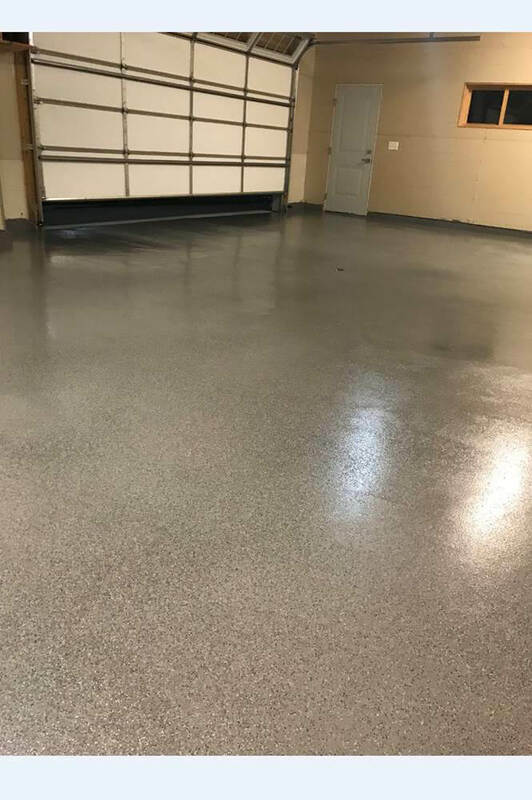 Using a densifier like TL37 followed by TL40 concrete conditioner is an ideal way to both strengthen and protect your garage floor, with minimal aesthetic changes. Please note TL40 has Silane as a primary component. When combined with TL37 densifer TL40 give you the best protection for a densifier, stain resistance and waterproofing. 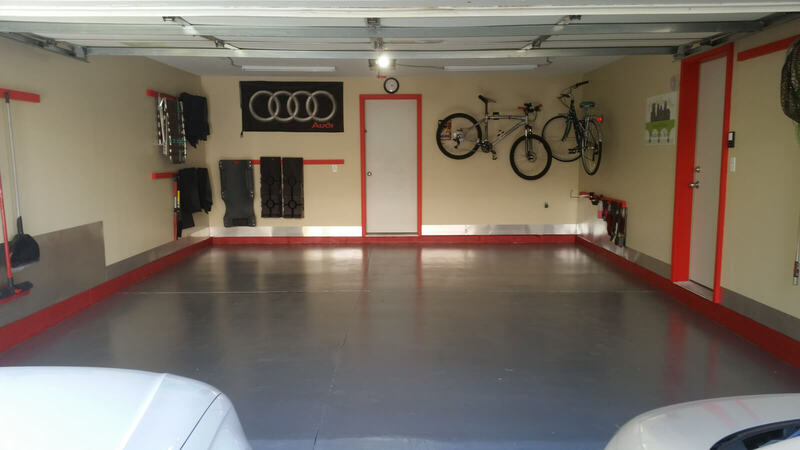 If I were purchasing garage floor tiles, parking mats or another form of garage flooring that may let some moisture through to the slab, I would strongly consider one of the densifier options above. I would either do TL39 or TL37 and TL40.